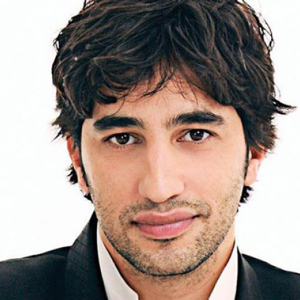 Avi Avital (Hebrew: אבי אביטל, born 1978) is an Israeli mandolinist, composer, and performer. He is best known for his renditions of well-known Baroque and folk music, much of which was originally written for other instruments. He has been nominated for a Grammy award (Best Instrumental Soloist with Ensemble) and in 2013 signed a record agreement with Deutsche Grammophon. Avital was born in the Israeli city of Be’er Sheva and showed an aptitude for the mandolin at an early age; by the time he was eight years old, he was performing with a local orchestra. He went on to study at the Jerusalem Academy of Music and the Cesare Pollini Conservatory of Music in Padua, Italy, where the focus of his work moved from mandolin transcriptions of violin pieces to those originally written with his instrument in mind. His study in Italy was sponsored by the America-Israel Cultural Foundation. Avital has performed at Carnegie Hall and the Lincoln Center in New York, the National Centre for the Performing Arts and the Forbidden City Concert Hall in Beijing, and the Berlin Philharmonie, and has performed with a number of international orchestras and chamber groups. In 2013, he performed on a tour with the Geneva Camerata. In addition to the Grammy nomination, he has won Israel’s Aviv Competition and received Germany’s ECHO Prize. Avital’s recording debut, a collection of sonatas and concertos entitled Bach, was released on June 12, 2012.